Registration and ticketing started on the 22th of October. 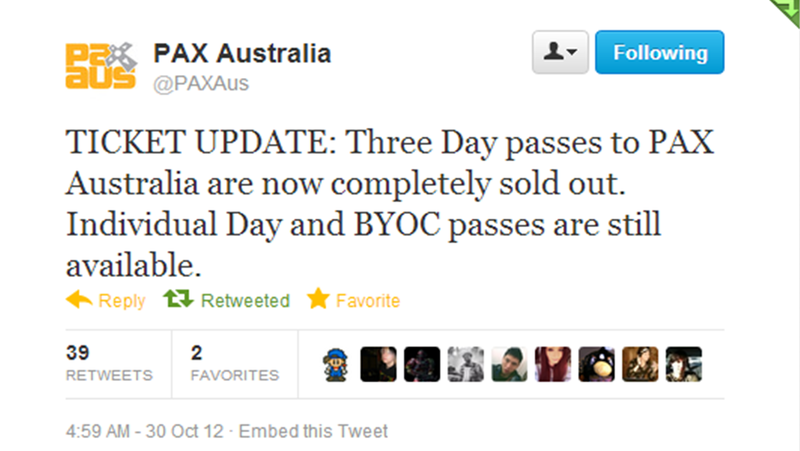 Now 30/31st of October, just over a week, the official account @PAXAus has announced that the 3 day passes "are now completely sold out". Just imagine that. 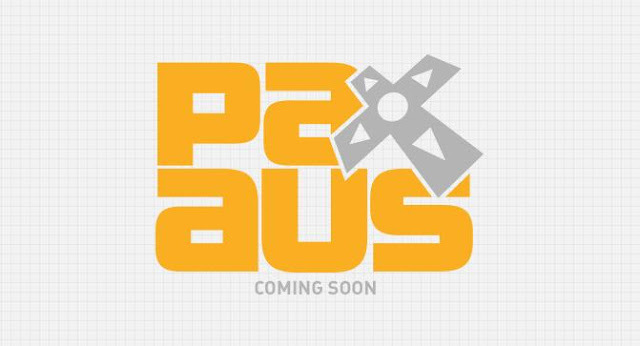 PAX Australia will be the first time the Penny Arcade Expo sets foot out of the United States, and this very fact has reaffirmed the decision to bring one of the largest video game festivals to the land down under. And if you're somehow wondering whether I'll be there, I most certainly will to try my best covering as much as I can. 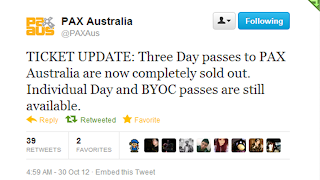 Till then, remember to get your tickets fast before individual passes go off sale too!